Actors’ Playhouse at the Miracle Theatre is going through a Fun MID-LIFE Crisis…Again! 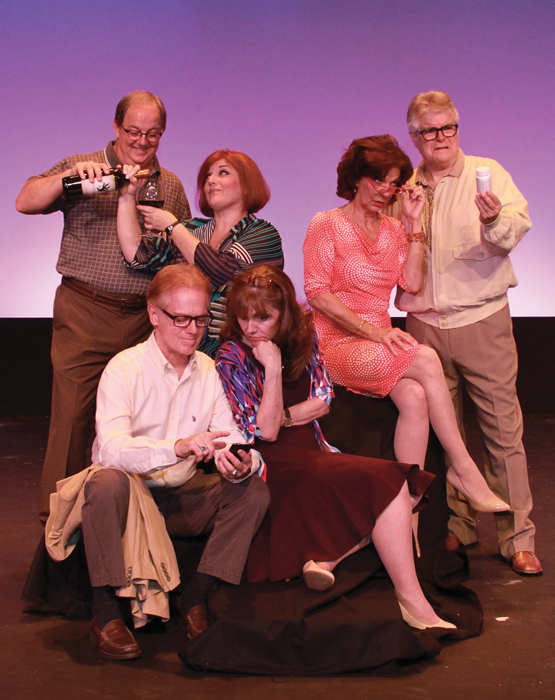 Actors’ Playhouse at the Miracle Theatre presents the world premiere of MID-LIFE 2! (The Crisis Continues) from July 16 – August 17, 2014. The follow up to the hilarious MID-LIFE! The Crisis Musical that performed to critical acclaim at Actors’ Playhouse in the summer of 2008, MID-LIFE 2! takes audiences back to the middle ages once again with a hilariously tuneful look at the aches, pains, and joys of getting older. From ever-increasing trips to the doctor’s office, to the horrifying moment when one qualifies for a senior discount, the ever-growing legion of aging Baby Boomers and beyond are sure to see their lives reflected in this witty musical revue lampooned with a Saturday Night Live non-sensibility. Artistic Director David Arisco is elated to secure the original cast of Actors’ Playhouse’s 2008 production of MID-LIFE!